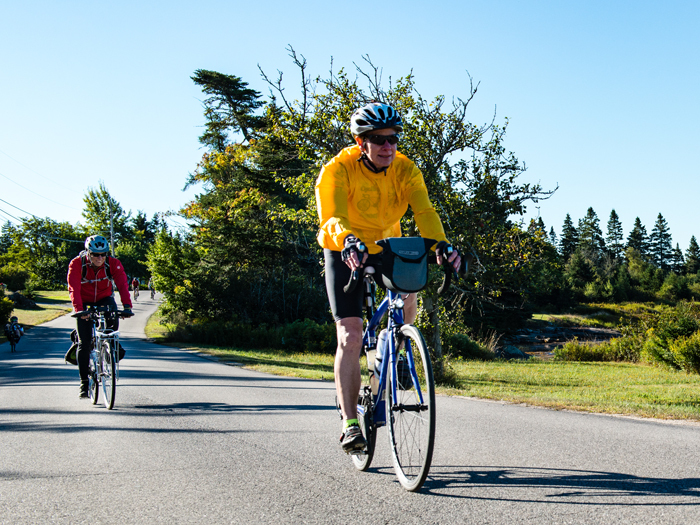 The Bold Coast Scenic Bikeway is a 211-mile route on quiet rural roads that extends from West Gouldsboro, at the top of the Schoodic Peninsula, to Calais, the eastern-most border city linking to mainland Canada. Along the way, the route meanders through diverse natural and wondrous environments, past sites of historical and cultural interest, and into small towns offering a variety of amenities and services. Permanent route way-finding signs are scheduled for installation later in 2019. Contact us for updated information! 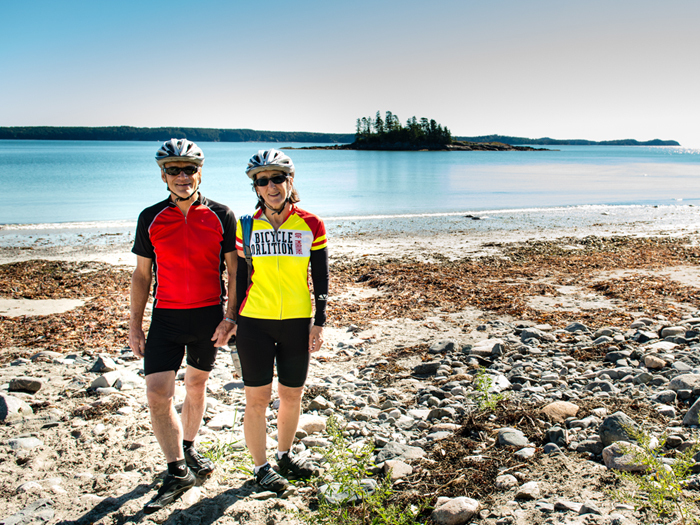 Printable and digital maps of the Bold Coast Scenic Bikeway, as well as cue sheets, are housed on Ride with GPS. 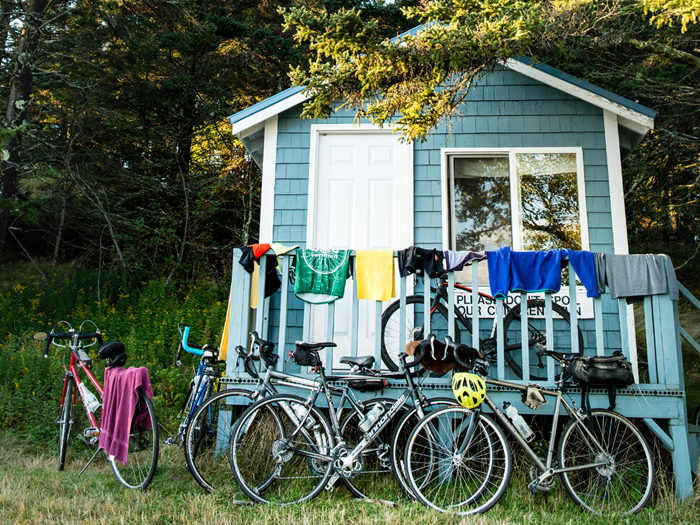 The Bold Coast Scenic Bikeway connects with US Bike Route 1, East Coast Greenway, and St. Stephen, New Brunswick, Canada, making it easy to create phenomenal single- or multi-day point-to-point or looped rides throughout the region, or to incorporate the Bikeway into an epic cross-country journey. 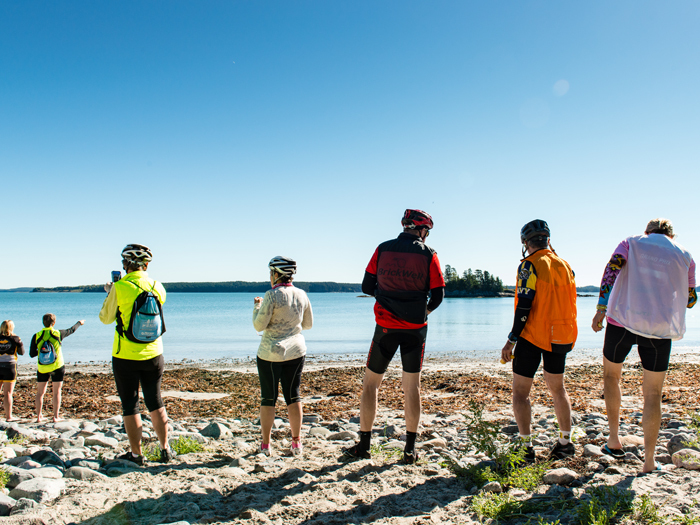 View the Bold Coast Region Map to see how all these trails interconnect. Download the US Bike Route 1 Map Book here. Bike-Friendly Businesses, services, and amenities are available along the route and can be searched on the Interactive Map. The map provides all the information you’ll need, and in one place, in order to plan a trip that is right for you. Use this map to find places where you can leave a car. Always carry extra water and a high calorie snack, and replenish these supplies as needed, so that you are not caught short in the event you arrive at a store or restaurant you were planning to patronize and find it to be closed. Keep in mind that most restaurants close by 8:00 p.m., and many are closed on Mondays. The Bold Coast Scenic Bikeway is mapped and will be signed so that can be ridden from west to east or from east to west. Because traveling the Bikeway from east to west requires the majority of route turns to be to the left and across a lane of oncoming traffic, it is recommended that cyclists seeking to minimize cross-traffic turns ride the Bikeway from west to east. 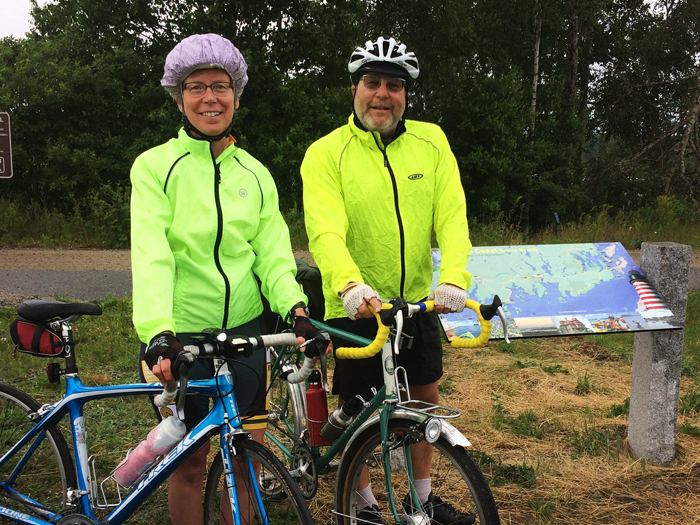 In order to provide bicyclists with general information about road conditions along the Bold Coast Scenic Bikeway, a Bicycle Level Service Assessment of the route was undertaken in the fall of 2017. Based on a compilation of data, including lane width, shoulder width (if any), posted speed, road surface, average annual daily traffic counts, parking on road, and road complexity, a score for each segment of the route was computed based on conditions as they existed at time of the assessment. From those scores, a color-coded map of the Bold Coast Scenic Bikeway, was created. 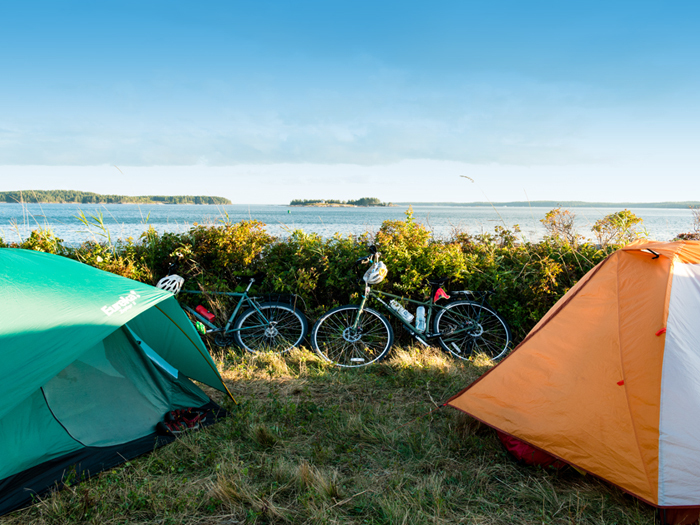 In providing this information, the Bold Coast Scenic Bikeway makes no representations, warranties, or guarantees about an individual’s safety in riding on these public roads, and is not responsible for maintaining the roads of the Bikeway. RED: Protected bike lane suitable for bicyclists of all abilities. GREEN: Low-traffic and low-speed road suitable for bicyclists comfortable riding on a road. BLUE: Comfortable bicycling for moderately experienced bicyclists, even if higher motor vehicle speed or traffic present on road. YELLOW: Road or traffic conditions make riding for moderately experienced bicyclists challenging. PURPLE: Road conditions and traffic conditions are not suitable for moderately experienced cyclists. BLACK: Challenging riding even for experienced cyclists.